Deja Vu all over again ……..
I’m somewhere between amused and embarrassed to see that I’m about to repeat that which I said about 12 months ago. I’ve just had the renewal notice for the blog site, and the stats suggest that last year’s £85 paid for 3 entries – dilemma! The decision is also much the same in the end; we’ll go for another year, with the resolve to put at least an article each month on here, and if that doesn’t happen or, more correctly, if I fail to make it happen, then I won’t renew again. I’ve celebrated that decision with a different “theme” for the blog which calls itself “rebalance”, which has a somewhat appropriate ring to it. We went for a winter morning walk at RSPB St. Aidan’s this morning. Neither of us feeling in great shape to be honest, but it’s a good and healing place to be in many ways, and only a short drive from home. There was a good number of the usual avian suspects around of course, but the star of the morning without doubt was the Kestrel which we seemed to be trailing around the site at one point. I’m really pleased with these images, but they are only photographs – the bird itself is far more beautiful! I suppose the benefit one draws from images is that they “freeze” the action and the real beauty of the bird’s shape and structure, of its intricacy of colour become visible, rather than the exciting blur of the animal in the hover. Just after I’d made the final image, it sank rather gently into the undergrowth and after a few moments re-emerged holding what looked like a mouse or vole in its claws. It then flew quickly away from us, presumably to its favourite spot for consuming its prey. 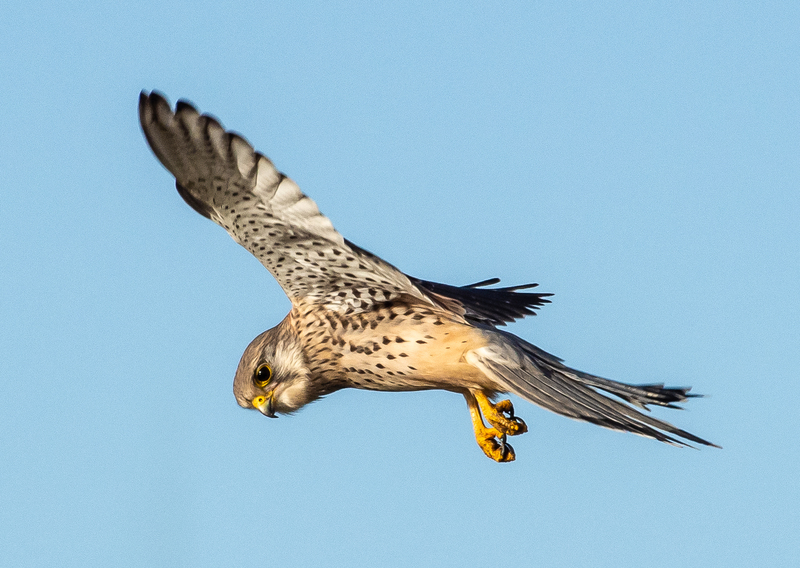 Good for the Kestrel, good for us, but rather less so for the mouse. That’s the way it works, I guess!